A judge in Arizona unsealed photographs central to ongoing litigation challenging deplorable and unconstitutional conditions in Border Patrol’s short-term detention facilities in the Tucson Sector. 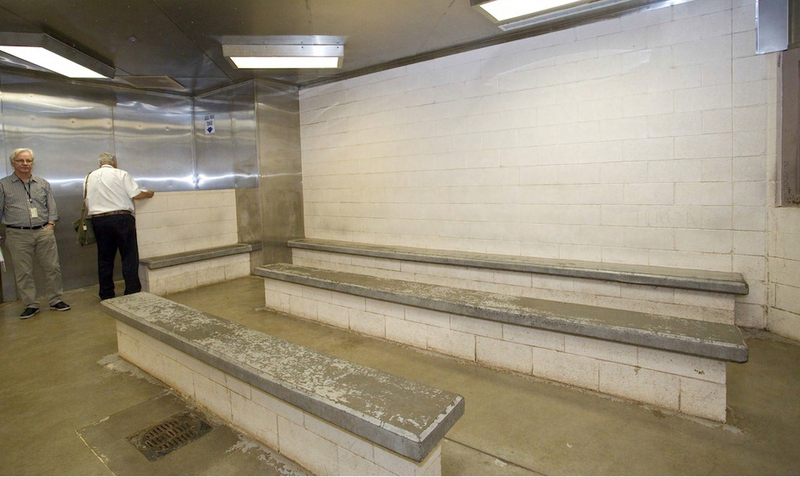 The never-before-seen-photos show the inside of facilities known as “hieleras” or ice-boxes—a term coined by those held in the frigid concrete cells. The underlying case is Jane Doe, et al. v. Johnson, et al., which was filed as a class action in the U.S. District Court for the District of Arizona in June of 2015. The lawsuit alleges that Tucson Sector Border Patrol holds men, women, and children, including babies, in freezing, overcrowded, and filthy cells for days at a time in violation of the U.S. Constitution and the agencies’ own policies. Detained individuals are stripped of outer layers of clothing and forced to suffer in brutally cold temperatures; deprived of beds, bedding, and sleep; denied adequate food, water, medicine, medical care, and basic hygiene items such as soap, sufficient toilet paper, sanitary napkins, diapers, and showers; and held virtually incommunicado in these conditions for days. The photos unsealed this week by the judge in the case provide a peek into these cells, yet are only the tip-of-the-iceberg. The judge may decide to unseal additional photos and other more-damning evidence possibly in the coming weeks and months, although the government is fighting to prevent this. Much of the evidence that remains under seal was submitted in the case only after the Court sanctioned Border Patrol for destroying video recordings from these facilities and failing to turn over other relevant documentation. Yet the government persists and in the coming weeks will provide additional arguments to the Court in defense of its position that additional evidence should remain under seal. The case is being brought by the American Immigration Council, Morrison & Foerster LLP; National Immigration Law Center; Lawyers’ Committee for Civil Rights of the San Francisco Bay Area; the ACLU of Arizona.